Oooo socks designed and made in Italy! 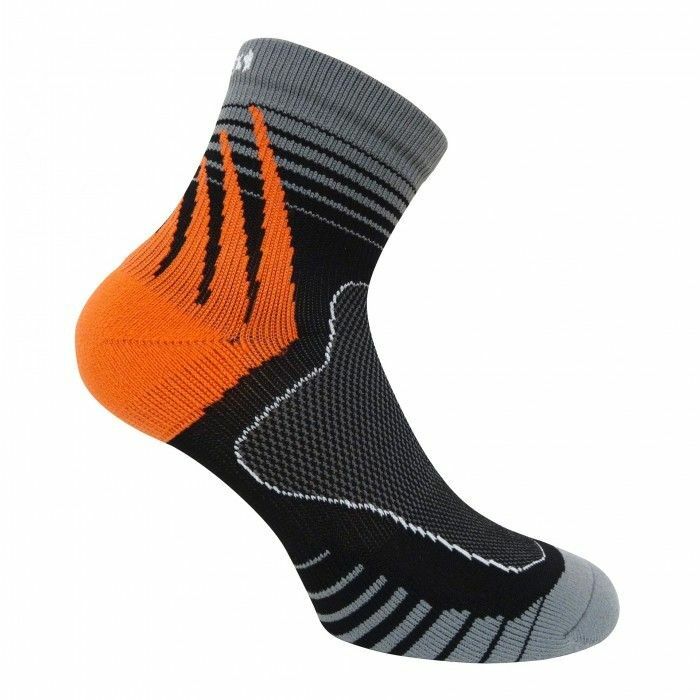 The new Trail Running Socks from our friends at Eurosock have all that you would expect (and then some!) from that fashionable country. Made to perform, these socks have graduated compression to stimulate blood flow, improving oxygen delivery to your muscles thus reduces foot and leg swelling, lactic acid production, and cramping. Since running on trails can be hard on your feet, there’s extra padding in the ball and heel of your foot to soft the impact of rocks and uneven ground. Additionally, these socks are made with their exclusive SILVER DryStat material with its antibacterial, antiviral, antimicrobial and antifungal properties. Lots to love about these socks!